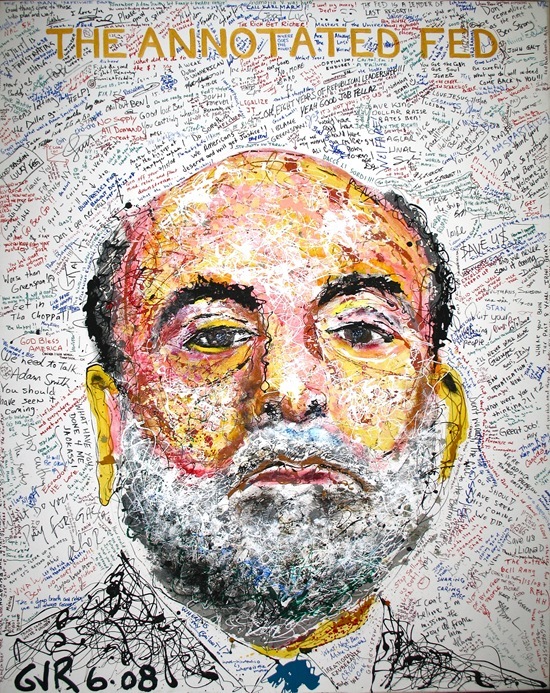 The below image of the artist and Bernanke’s portrait comes from a great New York TImes slide show titled Financial Impressionism. You can find all of his annotated paintings on the blog with links to high resolution versions. His complete portfolio can also be found on Google’s Picasa photosharing website. While we usually think of the latest technology when speaking of social media, Raymond’s work lends an interesting spin on that term as well. Posted in Culture + Sports, Media. 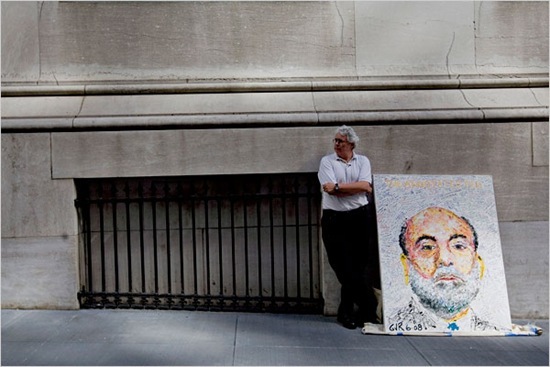 Tagged with art, Wall Street.